As the psychological half-life of QE goes the way of the Greenspan Put, the markets look increasingly vulnerable to rolling over. 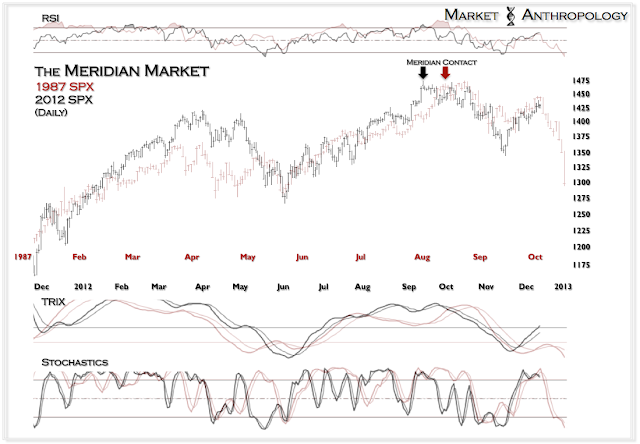 In fact, some of the more emotional risk proxies have already started what could become a large C leg - of an equity market ABC correction sequence that began in September with QE3. 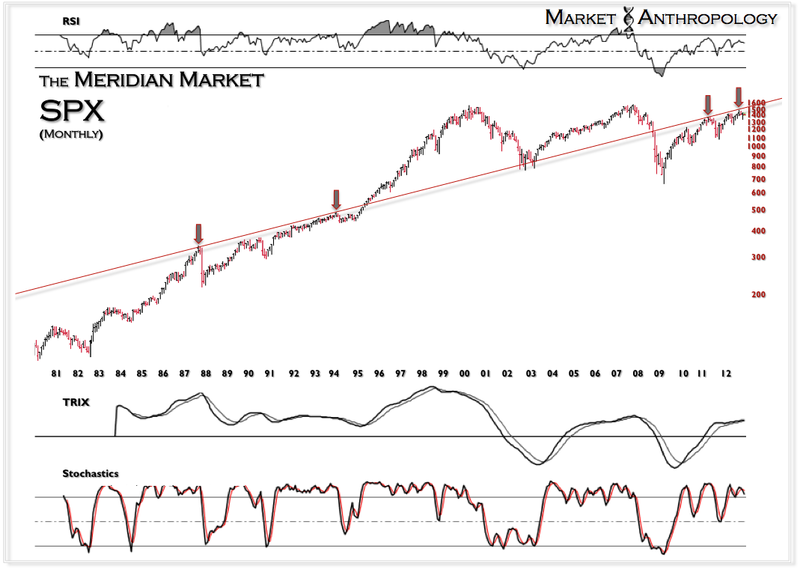 As I've stated in earlier notes, it would be presumptuous to expect a breakdown on the order of the 1987 decline. 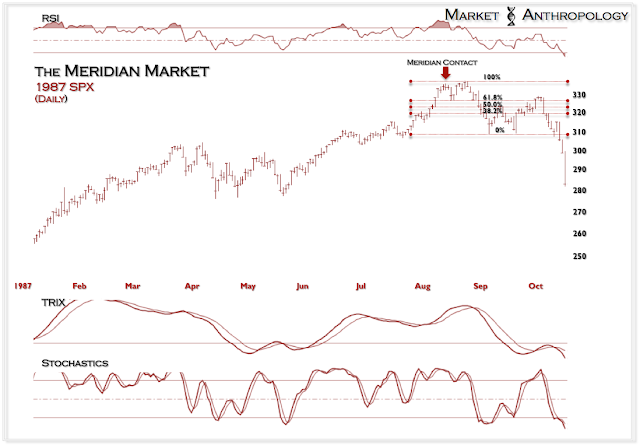 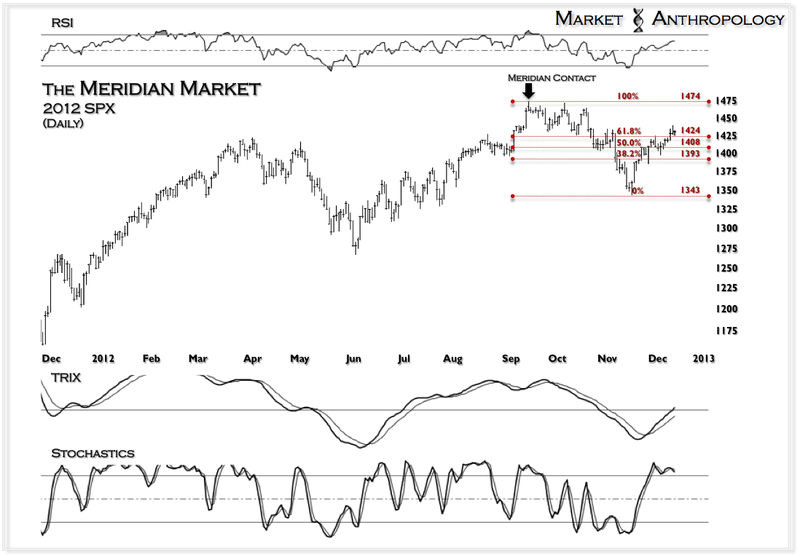 What is noteworthy is the similar market structures and momentum leading up to the previous ABC corrections - subsequent to a rejection by the long-term meridian. 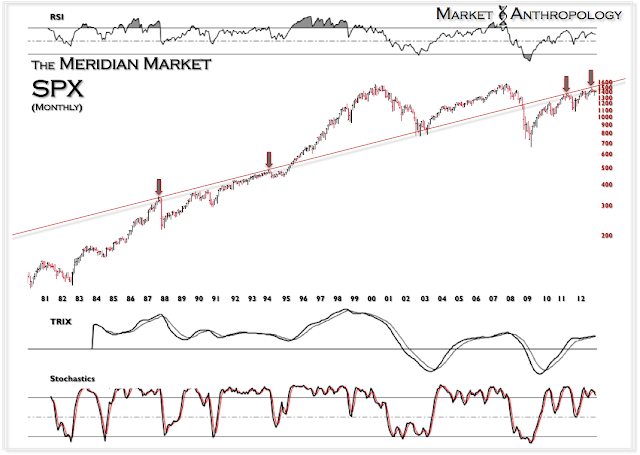 The takeaway, is we will soon find out if these precursors are warranted for concern - or if the markets can muster a break of the long-term meridian, as they did in 1995.